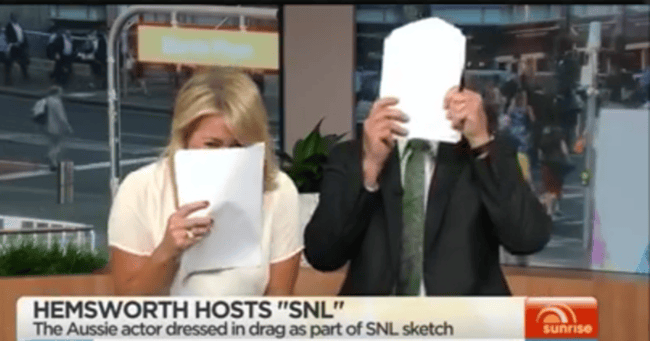 Burt Reynolds overhears Kochie insulting him on-air in horribly awkward interview. When given the opportunity to interview one of the biggest movie stars of all time, one should avoid insulting him live on air, right? 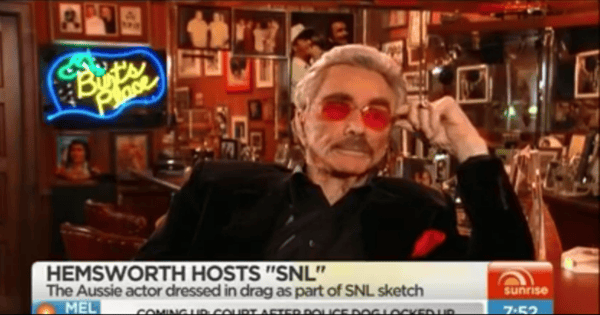 This morning, Sunrise‘s Sam Armytage and her morning TV conspirator David “Kochie” Koch interviewed screen legend Burt Reynolds, 79, from his home in Florida. Reynolds is — how should I put it politely? — old school. He repeatedly referred to Armytage as “sweetheart” before offering to give her a tour of his house. It was all lighthearted, if blatantly sexist, fun. Until Kochie and Armytage signed off and began slagging off their interviewee. Watch the whole regrettable incident here… Post continues after video. “He kept touching his nose all the time, that was a bit of a giveaway,” Kochie said, even as the camera crossed to Burt Reynolds still going live. “Oh no, he’s still there,” Armytage said again, mortified. “I’m still here,” affirmed Burt Reynolds. This comment was met by the Sunrise hosts hiding behind their notes and giggling. Neither host apologised to Reynolds or even acknowledged him properly, apart from Armytage speculating the actor must have wanted to hear their next segment about Star Wars.